There’s nothing worse than realizing you’ve forgotten something important when moving. Of course, the dread rises the farther you move – conceivably, you could return for your item if you moved to the other side of the city, or to a neighboring city, or anywhere local moving. But moving interstate? That’s a lot of effort, and a lot of gas money or bus ticket. And right after moving, when everything is in chaos and you need to stay focused and unpack? That’s incredibly difficult to accomplish. So, ideally, you wouldn’t forget any of the things people forget when moving interstate – but just in case, think about making yourself a handy reminder. 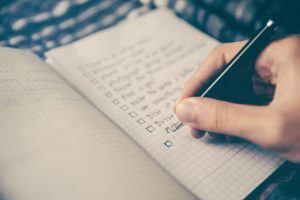 A checklist can do wonders if you utilize it right! So how do you do that? There’s no need to get fancy – a simple checklist will do. You could even have it on a phone app if you aren’t the type to forget it exists. It happens surprisingly often! You’d think that your medical records being basically invaluable would prompt people to pack their medication, right? But medicine is one of the biggest things people forget when moving interstate! Well, in the chaos and disorganization of a move, especially if you’re moving to Brooklyn with a child or a pet, it can easily slip your mind. Especially if it’s something chronic that you take fairly regularly. You just don’t think about it as something that you need to pay special attention to, because it’s so ingrained in your daily routine. However, that’s one routine you can’t disturb. Not only can your medication be expensive, but it can also be difficult to replace. Because this is by far the most dangerous thing to forget. If you forget your documents, you’ll pay a hefty sum, but you’ll get them back. If you forget something valuable, well, you’ll regret it, but you can buy a new one. 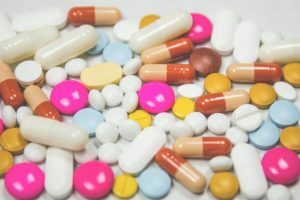 But if you forget your medicine – well, not only do you have to worry about withdrawal if it’s antidepressants or something similar, but getting new ones takes time. And you’re taking those meds for a reason – it can be dangerous to stop them suddenly! The more time your new state doctors need to process this, the more time you’re without valuable medication. That can be life-threatening. And, of course, insurance can be such a drag – you might have to pay out of pocket if they don’t believe you losing them. And if it’s a controlled substance, you might not be able to get more soon enough! This one is really easy to forget. After all, it’s not something you have eyes on – it’s safe and sound at the cleaners! In the hustle and bustle of moving, you can easily forget you’ve had that swanky dress or expensive suit dry-cleaned. And, that makes sense – few people regularly dry-clean things they wear often. It’s usually just the things you wear in a black tie dress code. 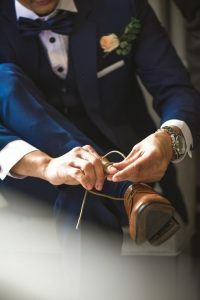 If you’ve taken your special occasion outfit to the cleaning, you can easily forget about it, since you have so many other things to do. And it’s not like you wear it often, so you can easily forget it’s not there. But, it would be a damn shame to end up without a sleek, fancy piece of clothing! So, you should definitely include a visit to the dry-cleaners on your perfect moving checklist. People are always on the look-out for good storage solutions. But what happens when they have to move interstate? Well, there’s a non-zero chance they forget about what they have in store, only to be rudely reminded by next month’s bill. Don’t be one of those people. Alongside canceling gym subscriptions, newspaper subscriptions, and other things you won’t use anymore, cancel your storage and either move the items with you or get rid of them. Pro-tip: if you’re unwilling to pay the transport costs, you don’t really need the items as much as you think, so sell them online or at a yard sale. Or gift them to friends! If the items hold value to you, you won’t hesitate to find the movers that can do the job, even if it’s for off-the-wall things like statue movers NYC. Fancy clothing is very expensive as a rule. It would be sad if you forgot it just because you didn’t pick it up on time! Have you heard of the essentials bag? It’s everything you need to survive in civility until you unpack. Of course, unpacking immediately after a long distance, the interstate move is practically unheard of, especially if you’re unpacking with a plan. So, people make these bags with things they need immediately, so they’re not frantically running to the store to get toilet paper or tearing apart boxes to find cutlery. And things from it get forgotten surprisingly often. Of course, it makes sense – it’s less about forgetting things and more about forgetting to make them accessible. But what’s in an emergency bag? Some of the things people forget when moving interstate aren’t tragic, but just mean that they won’t spend their first day comfortable. Toilet paper is a staple that gets forgotten relatively often. A change of clothes for every family member, too. A towel per person, and maybe a shower curtain – traveling is sweaty! Either paper plates and napkins, or a plate and cutlery set with a cup for everybody. That depends on if you worry about your plates breaking in your bag. Something you can cook easily, or money for takeout. Pizza has never been so tempting! Pack the important documents for easy access – like your Brooklyn moving quotes and other important bills. You don’t wanna lose it!